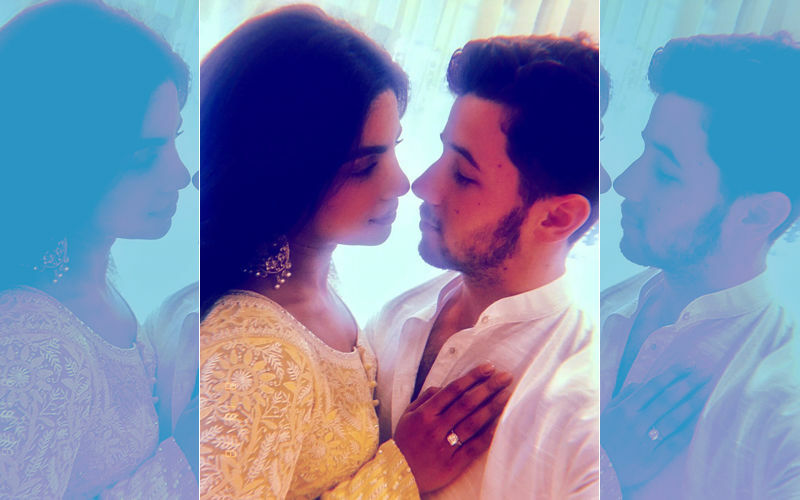 Priyanka Chopra-Nick Jonas Engagement: Parineeti Reveals, "Priyanka And I Used To Pretend Having Imaginary Kids!" Parineeti Chopra attended sister Priyanka Chopra's engagement ceremony in the morning today. 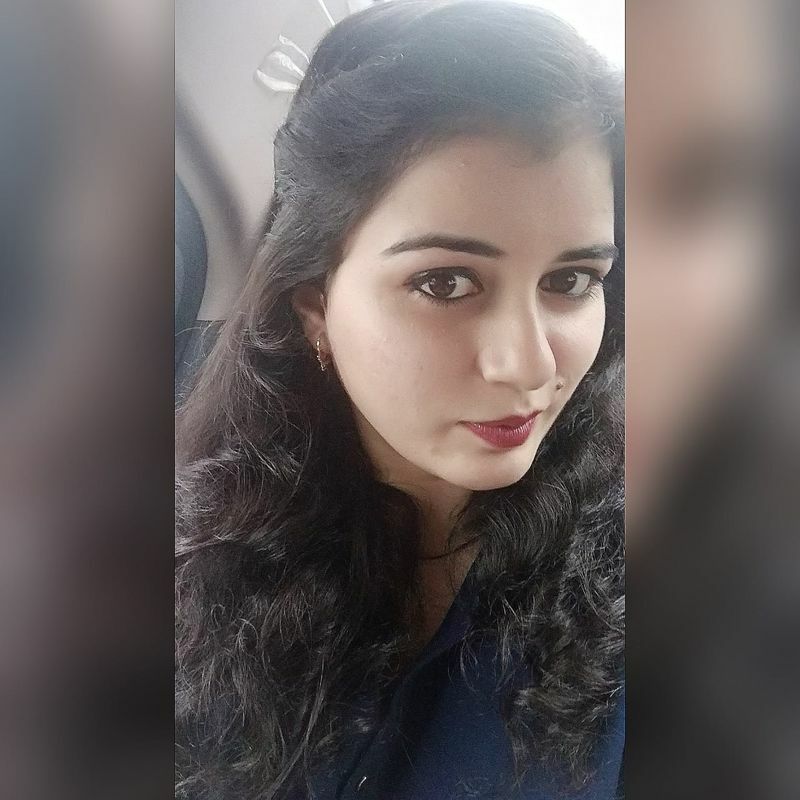 A little while earlier, the adorable little sister took to social media to share an inside pic from the roka ceremony and with that, also told an interesting tale from their bachpan ke din. Parineeti has especially flown in from Lucknow where she was shooting until late yesterday. Parineeti wrote: "Today I witnessed magic and a fairytale ... When we were kids, mimi didi and I used to play “ghar ghar”. We would pretend to be shy brides, have imaginary children, and serve tea to our husbands! cheesy, but its because we always believed in the magic of love and hoped we would both find that perfect man for us one day!! Today there was no pretending. I cant think of a more a perfect man for her. Like I said this morning, there are two ways of judging a human being. One - travel with them, and two, eat with them. Nick, I have done both with you. And so I know you’re perfect for her!! Love her, because she loves you like mad! Protect her, because shes strong, but a soft soul inside. I love you both and wish you all the happiness forever!!!!! HAPPY ROKA AND FUTURE WEDDING!! @priyankachopra @nickjonas (sic)." And, isn't this a lovely picture of the two sisters hugging it out? 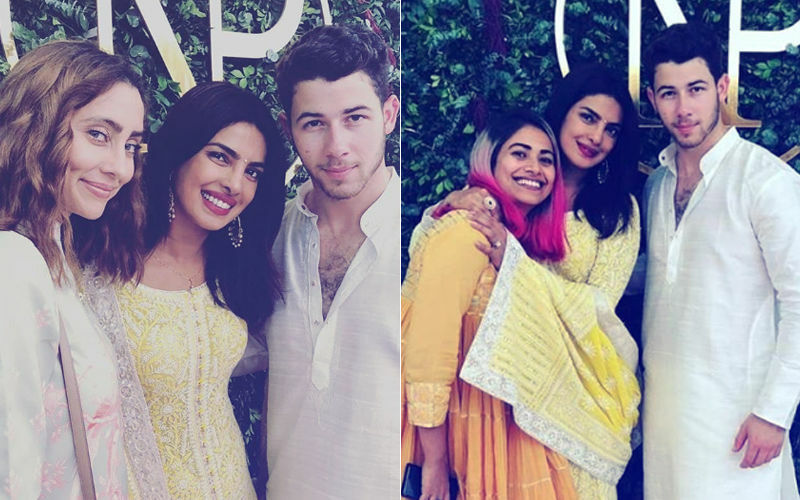 Parineeti was one of the very few B-Townies who attended the puja which was eventually followed by the engagement that was declared by PeeCee's buddy Mushtaq Sheikh. 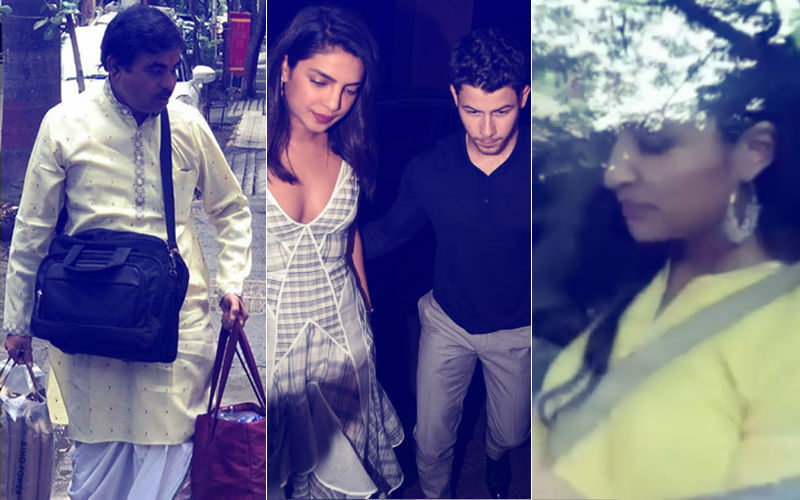 All the proceedings were conducted at Priyanka's Juhu bungalow. 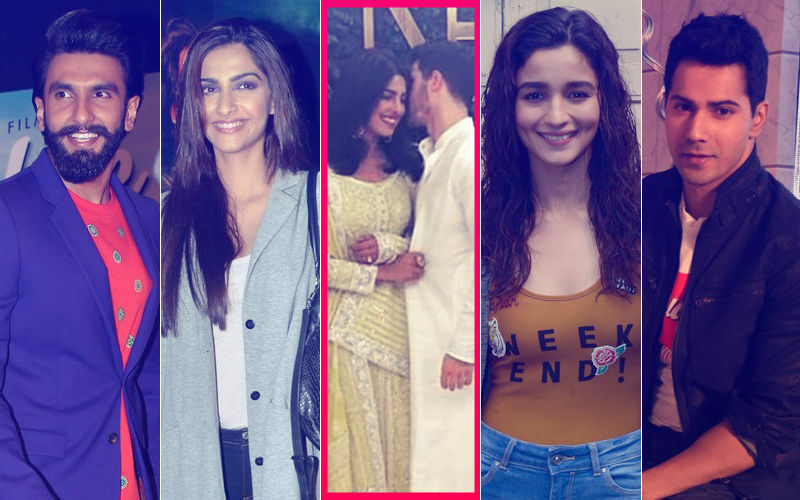 While the day's functions ended sometime after the engagement in the evening, it is said that there is a small party at the Chopra residence a little later in the night today. 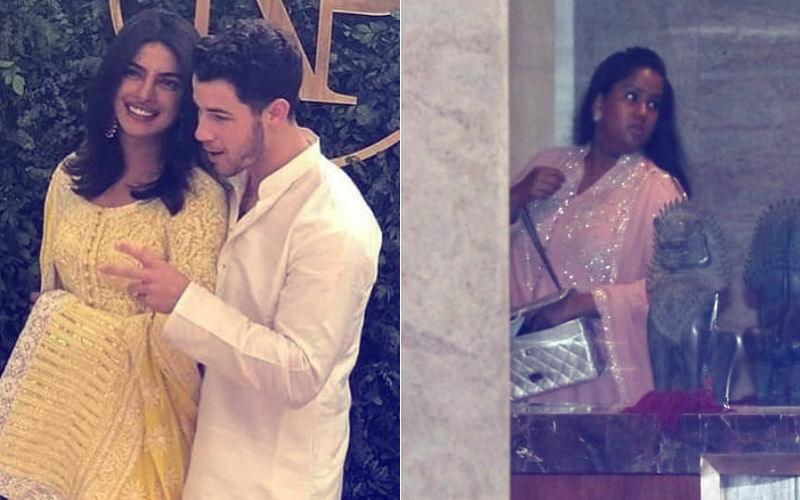 Few close friends of Priyanka are likely to drop by to wish the lovely couple. Stay hooked on to SpotboyE.com as we will keep bringing you more updates on this lovely couple's love story which now seems headed to the altar. 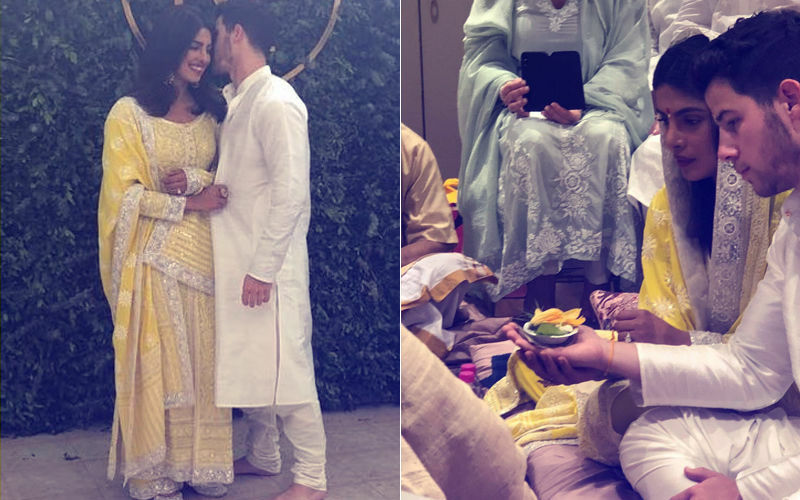 Priyanka Chopra-Nick Jonas Engagement: Wow! Keeping Bharat Controversy Aside, Salman Khan’s Sister Arpita Arrives!